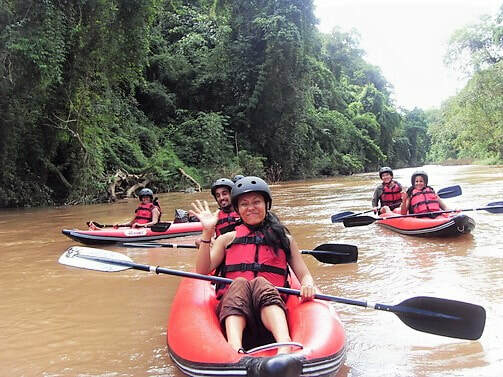 1 day kayaking and 1 day trekking tour in the Namtha river area - Trekking in Luang Namtha, Laos - Hiking, Kayaking, Cycling, Village Tours - Discovering Laos! The Namtha river is the largest river in the province of Luang Namtha and provides excellent kayaking thrills year-round. More exciting than the Namha river, great for avid kayakers wanting something less tame! 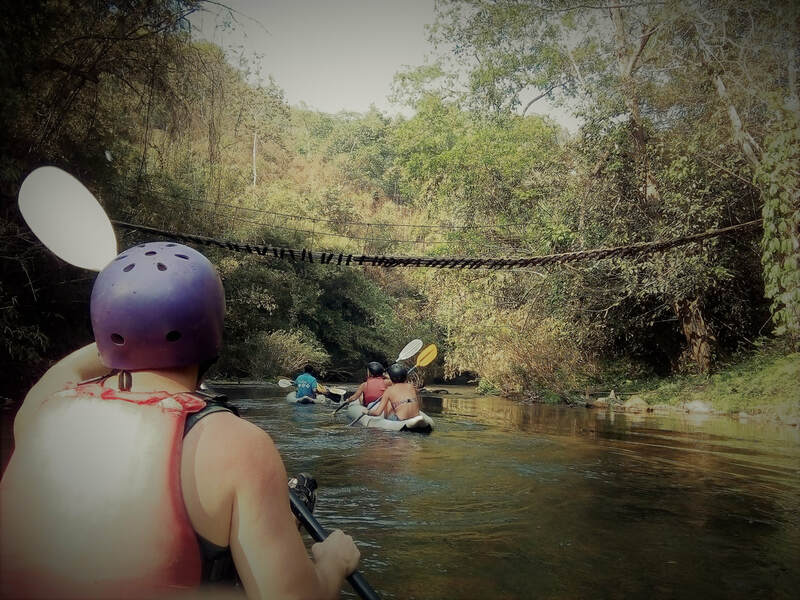 Face head-on the mighty Namtha river, as you tackle exciting rapids set against a backdrop of dramatic natural scenery. We meet up the Discovering Laos office for 9.00am and catch a tuk-tuk ride to the kayaking starting point on the Namtha river. After some basic instructions in kayaking techniques and health and safety we start paddling downriver. After 2 hours of blissful kayaking we stop off at Sop Tud village of the Lantan people. After meeting the local people and learning about their culture and way of life we head back to our kayaks and rejoin the river. 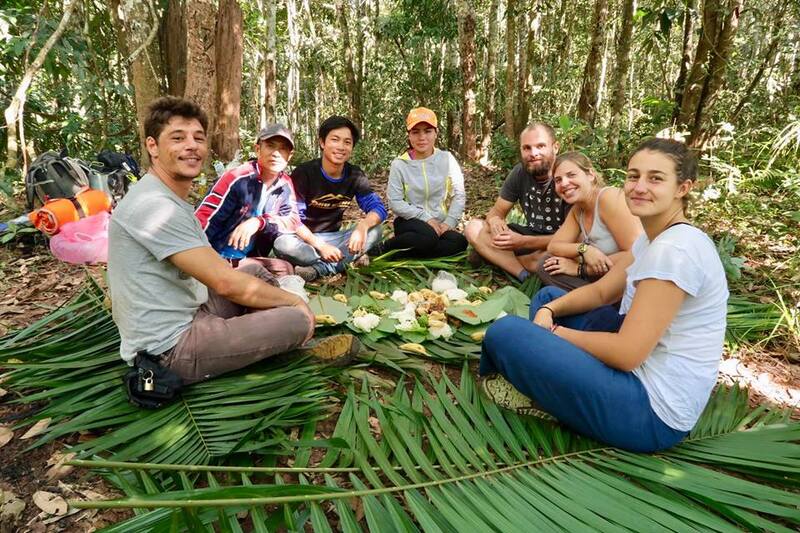 After tackling a series of exciting rapids, we stop off at a serene location on the riverbank for a well-earned rest and tasty Lao picnic lunch! Back on the river the current takes us by several picturesque Khmu villages, with the opportunity to see in practice how important the river is to the livelihood of the minority people. Soon after the current quickens and we paddle on navigating through yet more exciting rapids, set against a backdrop of outstanding natural beauty. 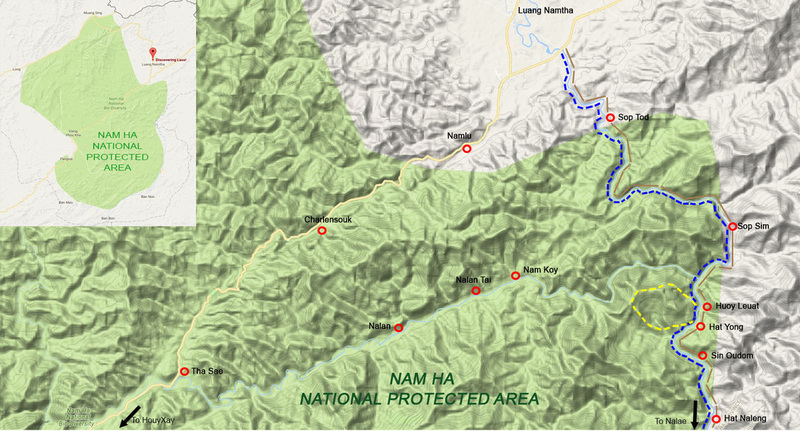 By 3-4.00pm we reach the village of Houay Leuat, a charming settlement of the Khmu people. Explore the village and meet the local people or, as highly recommended, take a refreshing dip in the river. Later, after a delicious Lao dinner, enjoy a drink with the locals or if you feel like relaxing then head straight to bed at your homestay or eco-lodge. 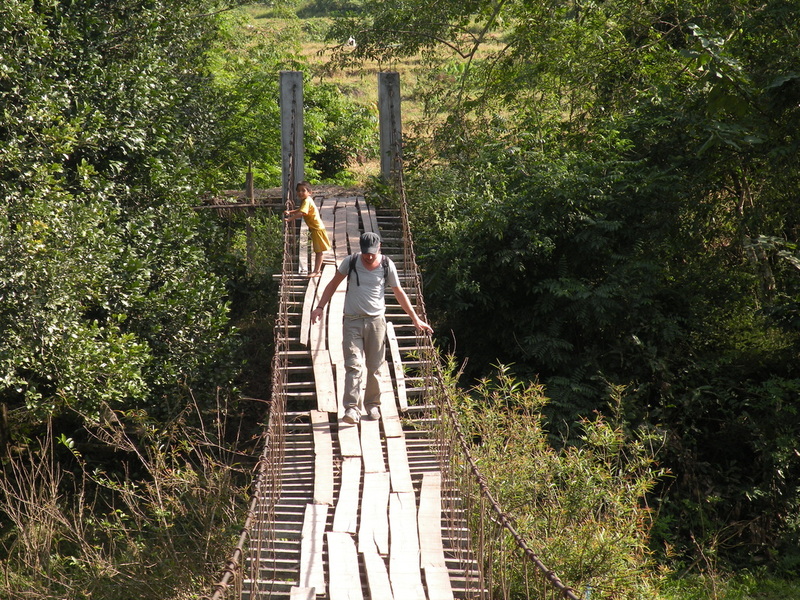 As lunch time approaches you are joined by a guide from one of the local villages. Watch and learn as your guides collect resources from the jungle for an authentic Lao lunch using traditional cooking techniques. Back on the trail we continue on through an alternating landscape of exquisitely cultivated lands and dense tropical jungle. Before long we reach the beautifully farmed hillsides of Hat Yong village. From there we hop on a tuk-tuk for a ride back to Luang Namtha, reaching the Discovering Laos office by approximately 3.00pm. 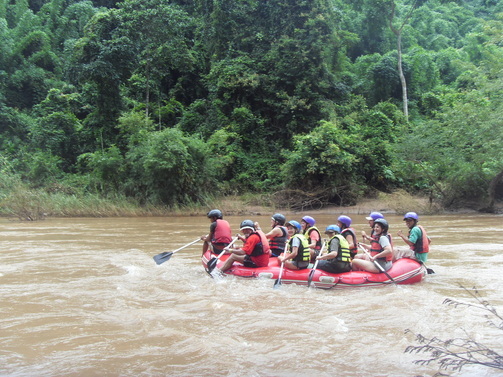 The price ranges from $57/person (USD) for 8+ Pax to $176/person (USD) for 1 Pax. Note: Warm clothes for the evening and night is advisable during the winter, between Oct-March.